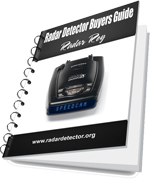 Thank you for signing up to receive Radar Roy’s Free Radar Detector Buyers Guide E-Book. In a moment you will receive an e-mail confirming your request to download Your free Radar Detector Buyers Guide. Please click on the link within this e-mail and you will be directed to our page where you can download it. If you should have any questions and/or concerns please contact Radar Roy direct by using our contact page.